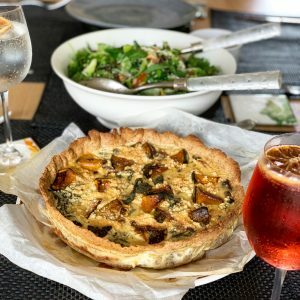 Who doesn’t love a good quiche? My mum always made a good quiche growing up so I’ve always had a bit of a soft spot for them. But more often than not I’m just too lazy to make the pastry so just end up making an omelette/frittata instead. But last weekend I had some friends over for lunch so thought I should put in a little extra effort and make a tasty quiche crust. 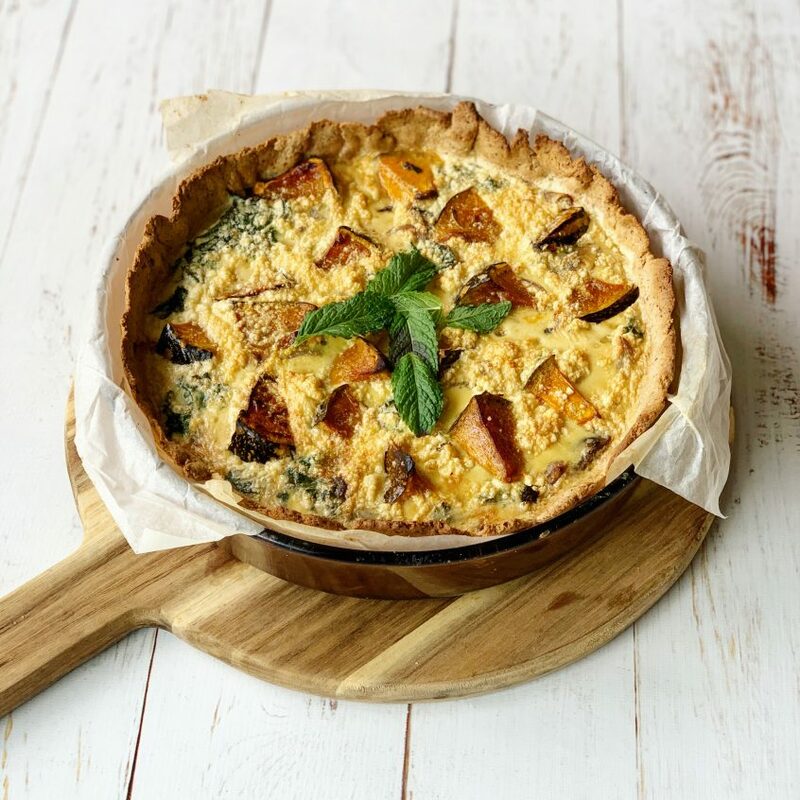 The friends I had over are various permutations of gluten-free and dairy free, so I went to one of my number 1 resources for GF/DF pastry/crust recipes – Casey-Lee at Live Love Nourish! So below is Casey-Lee’s quiche crust recipe with my filling. Combine the crust ingredients together in a mixing bowl, they should come together as a dough, form into a ball. Place the ball between two pieces of greaseproof paper and use a rolling pin to roll the dough out to ~1/2cm thick. Carefully peel back the top layer of paper before carefully placing the crust (paper side UP) on top of a greased or lined pie dish. Mould the dough to the dish while peeling back the remaining sheet of baking paper. Use a fork to prick holes in the base (stops the crust puffing up) and bake in the oven for 10-12 minutes or until lightly golden. Set aside. Bring a fry pan to medium heat and add mushrooms, onion, tomatoes and garlic, sautée until cooked down, add the kale at the end to wilt slightly. Season well. Whisk eggs and almond milk together in a bowl. Spoon the mushroom/onion/kale mixture onto the pie crust and spread out evenly. Place the pieces of roasted pumpkin around the pie crust so they’re evenly spread out as well. Pour the egg mixture over the top. Option to sprinkle with feta or parmesan cheese. Bake in oven for 30-40 minutes or until eggs are cooked through. Serve as-is or with a side salad.